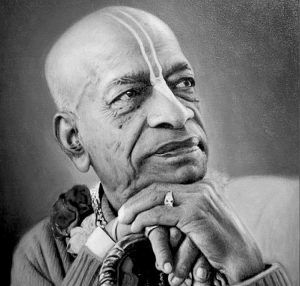 His Divine Grace A. C. Bhaktivedanta Swami Prabhupada was born in 1896 in Calcutta, India. He first met his spiritual master, Srila Bhaktisiddhanta Sarasvati Thakur, in Calcutta in 1922. Bhaktisiddhanta Sarasvati, a prominent devotional scholar and the founder of sixty-four branches of Gaudiya Mathas, liked this educated young man and convinced him to dedicate his life to teaching Vedic knowledge in the Western world. Srila Prabhupada became his student, and eleven years later (1933) at Allahabad, he became his formally initiated disciple. At their first meeting in 1922, Srila Bhaktisiddhanta Sarasvati Thakur requested Srila Prabhupada to broadcast Vedic knowledge in the English language. In the years that followed, Srila Prabhupada wrote a commentary on the Bhagavad Gita and in 1944, without assistance, started an English fortnightly magazine. Recognizing Srila Prabhupada’s philosophical learning and devotion, the Gaudiya-Vaishnava Society honored him in 1947 with the title ‘Bhakti vedanta’. 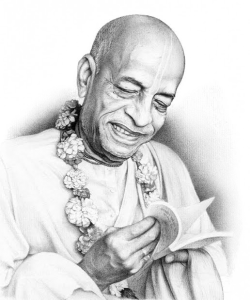 In 1950, at the age of fifty-four, Srila Prabhupada retired from married life, and four years later he adopted the Vanaprastha(retired) order to devote more time to his studies and writing. 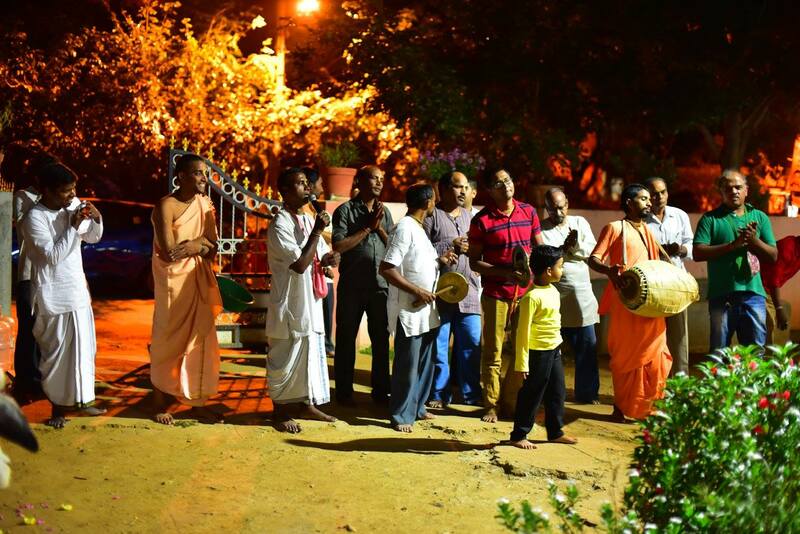 Srila Prabhupada travelled to the holy city of Vrindavan, where he lived in very humble circumstances in the historic medieval temple of Radha-Damodara. There he engaged for several years in deep study and writing. He accepted the renounced order of life (Sanyasa) in 1959. At Radha-Damodara temple, Srila Prabhupada began work on his life’s master piece: a multivolume translation and commentary on the 18,000-verse Srimad-Bhagavatam (Bhagavata Purana). He also wrote Easy Journey to other Planets. 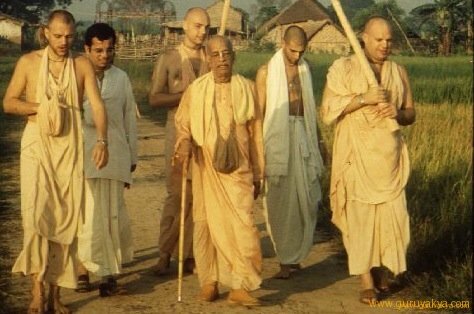 After publishing three volumes of Bhagavatam, Srila Prabhupada came to the United States in 1965 to fulfill the mission of his spiritual master. In the next twelve years, His Divine Grace wrote over sixty volumes of authoritative translations, commentaries and summary studies of the philosophical and religious classics of India. 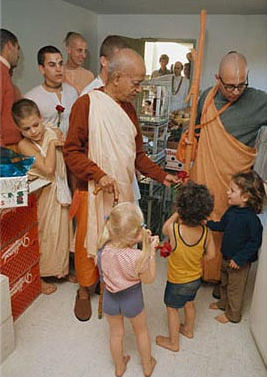 In 1965, when he first arrived by freighter in New York City, Srila Prabhupada was practically penniless. 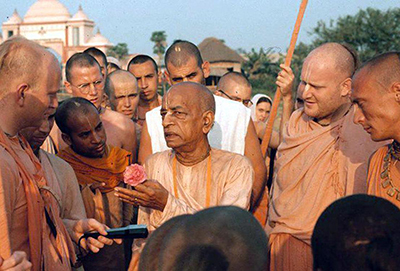 It was after almost a year of great difficulty that he established the International Society for Krishna Consciousness (ISKCON) in July of 1966. 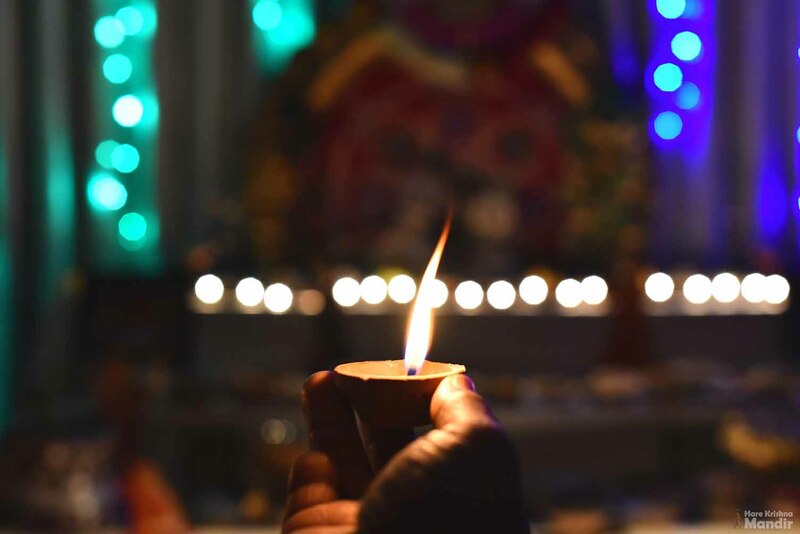 Under his careful guidance, the Society grew within a decade to a worldwide confederation of almost one hundred ashrams, schools, temples, institutes and farm communities. 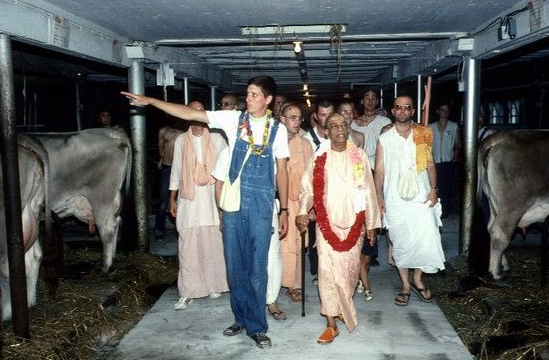 In 1968, Srila Prabhupada created New Vrindaban, an experimental Vedic community in the hills of West Virginia. 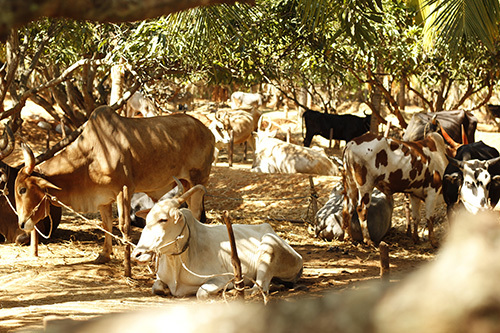 Inspired by the success of New Vrindaban, then a thriving farm community of more than one thousand acres, his students founded several similar communities in the United States and abroad. 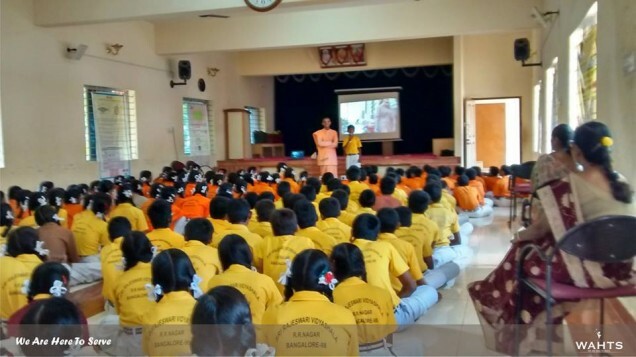 In 1972, His Divine Grace introduced the Vedic system of primary and secondary education in the West by founding the Gurukula school in Dallas, Texas. The school began with three children in 1972, and by the beginning of 1975 the enrolment had grown to one hundred fifty. Srila Prabhupada also inspired the construction of a large international center at Sridham Mayapur in West Bengal, India, which is also the site for a planned Institute of Vedic Studies. A similar project is the magnificent Krishna-Balarama Temple and International Guest House in Vrindavan, India. 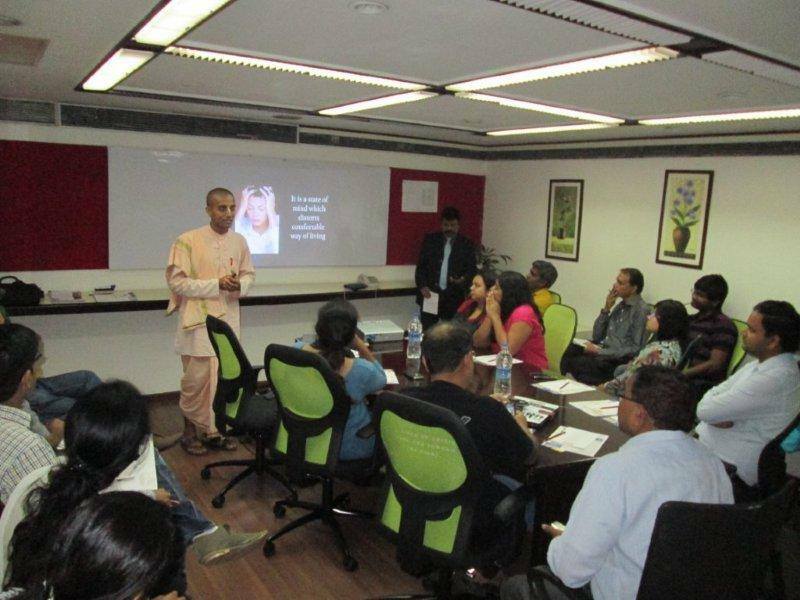 These are centers where everyone can live to gain first hand experience of Vedic culture. Srila Prabhupada’s most significant contribution, however, is his books. Highly respected by the academic community for their authoritativeness, depth and clarity, they are used as standard textbooks in numerous college courses. His writings have been translated into many languages. The Bhaktivedanta Book Trust (BBT) was established in 1972 exclusively to publish the works of His Divine Grace. It has since become the world’s largest publisher of books in the field of Indian religion and philosophy. 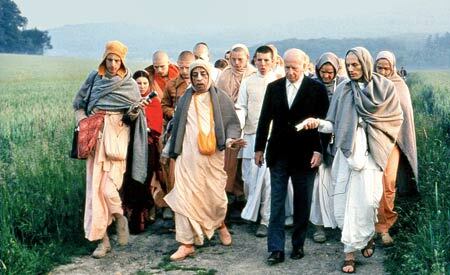 In the last ten years of his life, in spite of his advanced age, Srila Prabhupada circled the globe twelve times on lecture tours that took him to six continents. In spite of such a vigorous schedule, Srila Prabhupada continued to write prolifically. His writings constitute a veritable library of Vedic philosophy, religion, literature and culture.